What is that thing and why is it barfing up sand? 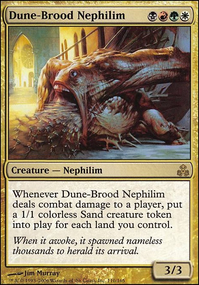 The third instalment in my patent-pending Nephilim EDH decks. This is foccused around ramping and making meeples. THe main mechanics include anthems, ramp, sacrifice, and tokens. 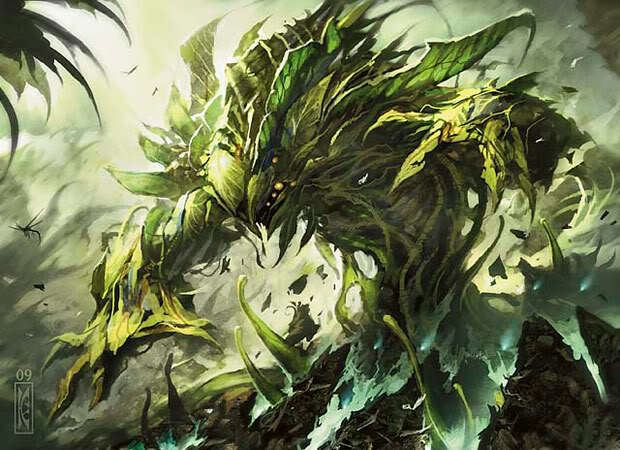 If you enjoyed this deck or are looking for another deck to look at, there's a link to the other 2 nephilim decks at the bottom of the page. Please +1 the deck if you like it, and leave suggestions of cards to put in/ take out, and also include why. when playtested, it won on turn 6. please enjoy! links: What is that thing and why is it smiling at us?, Overloaded circuts: How to raise an army and What is that thing and why is it Staring at us? What 13;is 13;that 13;thing 13;and 13;why 13;is 13;it 13;barfing 13;up 13;sand?